Felix is so good at chess! I love this book. Zyx is so cool. I agree with Evangeline and Kearah M.. I really liked the unique voice of the inner alien. I’ve been told that the audio book is an interesting book because of the alien being’s voice portrayal. This is a good good good book. i thought is was an amazing book i couldn’t put it down. 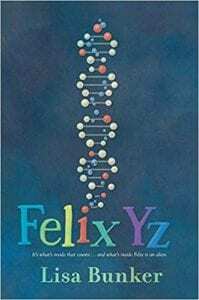 I loved this book my favorite character was Zyx, I almost cried when Felix asked if he was there and there was no answer. 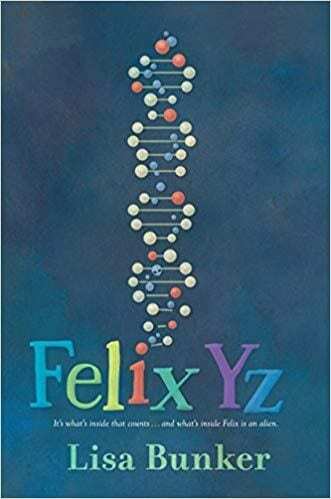 Felix Yz is the story of how Felix struggles to get through middle school with his condition which he tells people is a brain problem that happened when he was little, but really Felix was fuzed with an alien at age three. Of course people are trying to take the alien out of Felix, but doing that could result in death, but with a little help from new-found friends, hopefully Felix will survive. Hopefully.